In October 2013, Malaysia underwent its 2nd Cycle of the Universal Periodic Review (UPR) at the United Nations. The UPR is a process which involves a review of the human rights records of all 193 UN Member States. It provides an opportunity for all States to declare what actions they have taken to improve the human rights situations in their countries. In an appalling response to the rights of Malaysia’s indigenous communities, the Malaysian Government has rejected the following recommendations made by the Governments of Denmark, Finland, New Zealand, Norway, Sweden and Switzerland. Sarawak’s indigenous communities are fighting against a series of mega-dams that will destroy their Native Customary Rights (NCR) land. They have not been consulted. Hundreds of indigenous people are taking the Malaysian Government to court for encroaching on their native lands. Take measures, with full and effective participation of indigenous peoples, to address the issues highlighted in the National Enquiry into the Land Rights of Indigenous Peoples (Finland). 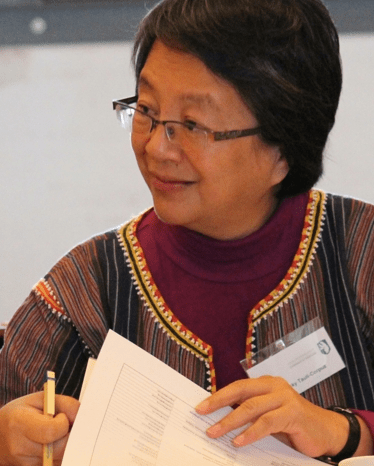 Newly appointed Special Rapporteur on Indigenous Rights Ms. Victoria Tauli-Corpez will not be able to visit Malaysia. The report to which the Government refers to was originally leaked by Sarawak Report and took months before it was officially released. In the report Malaysia’s human rights commission SUHAKAM lambasted the Government on count after count over its conduct over native land rights. It concluded that the indigenous people of the region have been “forced to become Coolies in their own lands” by the actions of the Land Custody and Development Authority (LCDA). 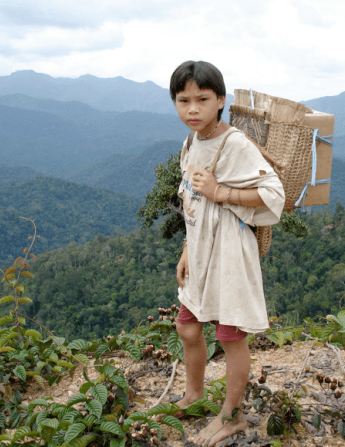 By rejecting these recommendations, the Malaysian Government have made their opinion on the rights of Malaysia’s indigenous communities shockingly clear. Of course, MUST strongly rejecting the UN lah, or else those melayu wanna be kitling kutty CELUB How to shout “kita orang melayu” ??? GIVE US A GOOD REASON WHY SABAH & SARAWAK SHOULD NOT BACK OUT OF MALAYSIA. IT SEEMS THAT THE MALICIOUS BN IS STILL NOT SATISFIED WITH OUR REVENUE MONEY LOOTED FROM SS SINCE 1976, IT IS EVIDENT THAT THEY WANT TO TURN THE WHOLE COUNTRY INTO A MALAY STATE FIRST BY DISCRIMINATING THE ETHIC CHINESE & INDIANS, AND NOW THE REJECTION IN UN OF OUR NATIVES’ RIGHTS BY THE MALAYSIAN GOVERNMENT. When you read the article below just compare the similarity with what BN under Taib had done to Sarawak. Chief Justice John Marshall set Native Americans on the path to poverty in 1831 when he characterized the relationship between Indians and the government as “resembling that of a ward to his guardian.” With these words, Marshall established the federal trust doctrine, which assigns the government as the trustee of Indian affairs. That trusteeship continues today, but it has not served Indians well. Underlying this doctrine is the notion that tribes are not capable of owning or managing their lands. The government is the legal owner of all land and assets in Indian Country and is required to manage them for the benefit of Indians. But because Indians do not generally own their land or homes on reservations, they cannot mortgage their assets for loans like other Americans. This makes it incredibly difficult to start a business in Indian Country. Even tribes with valuable natural resources remain locked in poverty. Their resources amount to “dead capital”—unable to generate growth for tribal communities. The result is that many investors avoid Indian lands altogether. When development does occur, federal agencies are involved in every detail, even collecting payments on behalf of tribes. The royalties are then distributed back to Indians—that is, if the government doesn’t lose the money in the process. Thanks to the legacy of federal control, reservations have complicated legal and property systems that are detrimental to economic growth. Jurisdiction and land ownership can vary widely on reservations as a result of the government’s allotment policies of the nineteenth century. Navigating this complex system makes development and growth difficult on Indian lands. One such difficulty is fractionated land ownership. Federal inheritance laws required many Indian lands to be passed in equal shares to multiple heirs. After several generations, these lands have become so fractionated that there are often hundreds of owners per parcel. Managing these fractionated lands is nearly impossible, and much of the land remains idle. Darrin Old Coyote, chairman of the Crow Tribe in Montana, puts it plainly: “The war on coal is a war on our families and our children.” Coal provides the greatest economic opportunity for the impoverished tribe, but regulations are making it hard for the tribe to capitalize on their natural resources. Some are even trying to prevent the tribe from exporting coal to Asia. Unfortunately, it hasn’t gotten much better. A recent class action suit alleged that the government mismanaged billions of dollars in Indian assets. The case settled in 2009 for $3.4 billion—far less than what was lost by the feds. As long as tribes are denied the right to control their own resources, they will remain locked in poverty and dependence. But if tribes are given the dignity they deserve, they will have the opportunity to unleash the tremendous wealth of Indian nations.